After being on the road for 17 days, let me tell you I was so beyond ready to come home and cook for my family. While we found tons of great for us food on the road, there is truly nothing like having something home cooked. While in years past, to me home cooked would likely be something not so healthy – these days I was really excited to come home to make our favorite veggies. This Easy Roasted Broccoli is so simple to prepare and offers just the right flavor that makes even die hard broccoli haters love it! If you are looking for a quick and easy side dish for your favorite grilled meat or light pasta dish, this is the one for you. 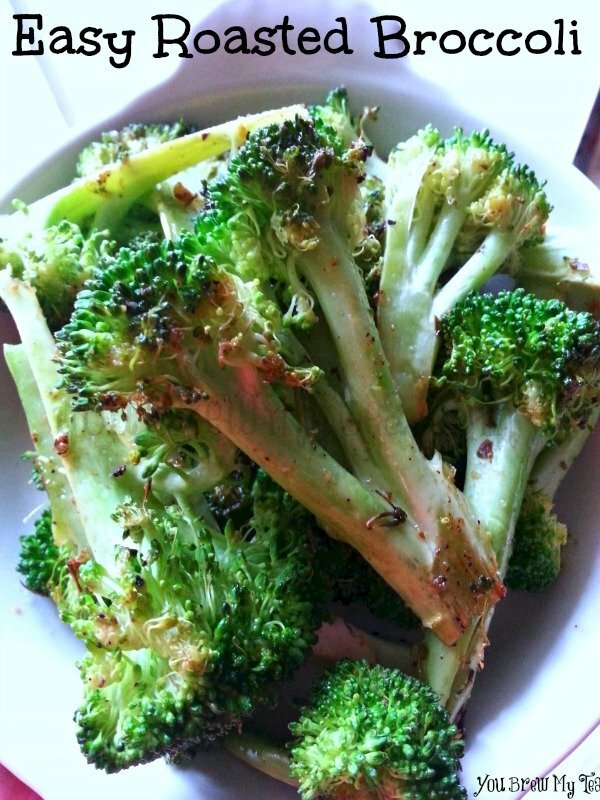 Our simple blend of seasoning sprinkled over cut fresh broccoli will make you a star in the kitchen. While this is one of our go-to dishes, you can always substitute your favorite veggie like cauliflower, zucchini, squash or even carrots instead. Roast at 400 degrees for 12-15 minutes. This easy roasted broccoli is great on it’s own, as a side dish or one of my favorite ways to serve it is in a salad. Roasting the broccoli with this tasty blend of seasonings brings out a rich flavor that adds the perfect punch to your chef salad or a simple pasta salad. When your family balks at the idea of clean eating or increased veggies in their diet, try roasting or grilling instead of your typical cooking techniques. Not only does it offer a different flavor profile, but it adds great new texture that can help picky eaters want their veggies. This looks and sounds so good! 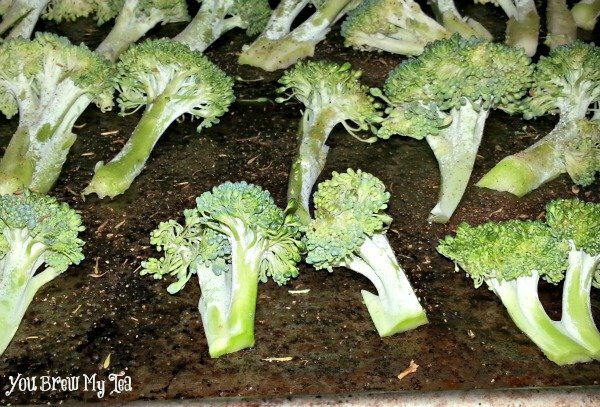 We love broccoli, but it does get boring sometimes. I don’t want to add the extra fat from cheese all the time, so this is going to be my new go-to way of changing it up! YUM! Oh, that looks awesome! My name is Katie and I host Inspired Weekends, now open. All entries get pinned. I would love to have you link up! This looks delicious. I love roasted veggies. Thanks for sharing at What’d You Do This Weekend. This is yummy! I love roasted broccoli. It is my favorite way to eat it!! Your recipe is a little different than mine so I will have to try yours! !